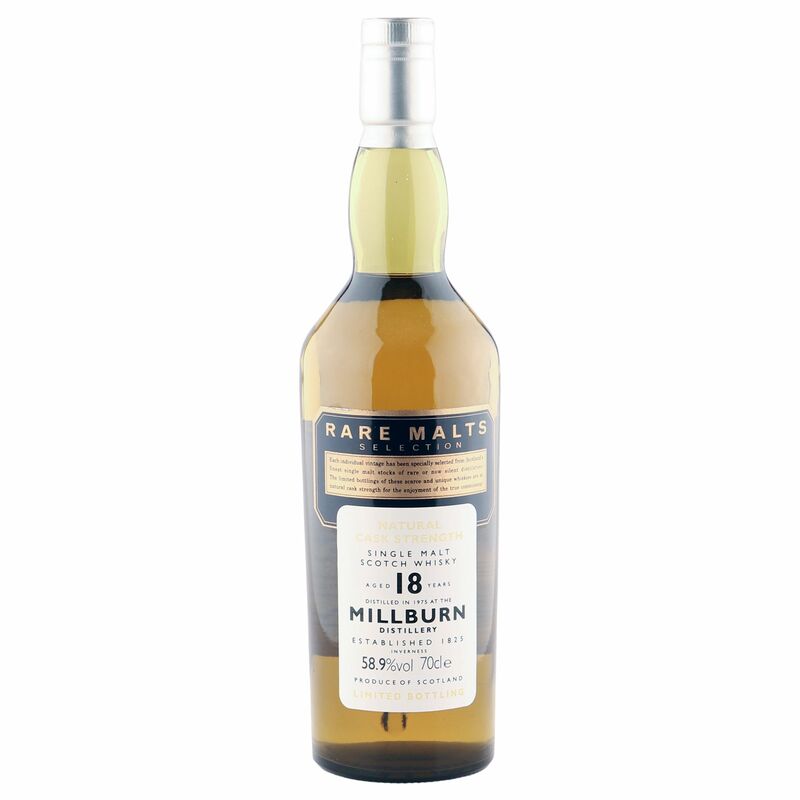 This excellent 18 year old Highland malt, part of the renowned Rare Malts Series, was distilled in 1975 at Millburn and bottled at a natural cask strength 58.9% ABV. A very limited edition bottling from this now silent distillery. Please note, the labels have faded and lost some colour - see image for detail.